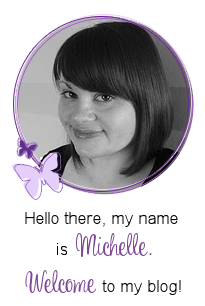 Hello there, today I am back with my second guest post for Krumspring. 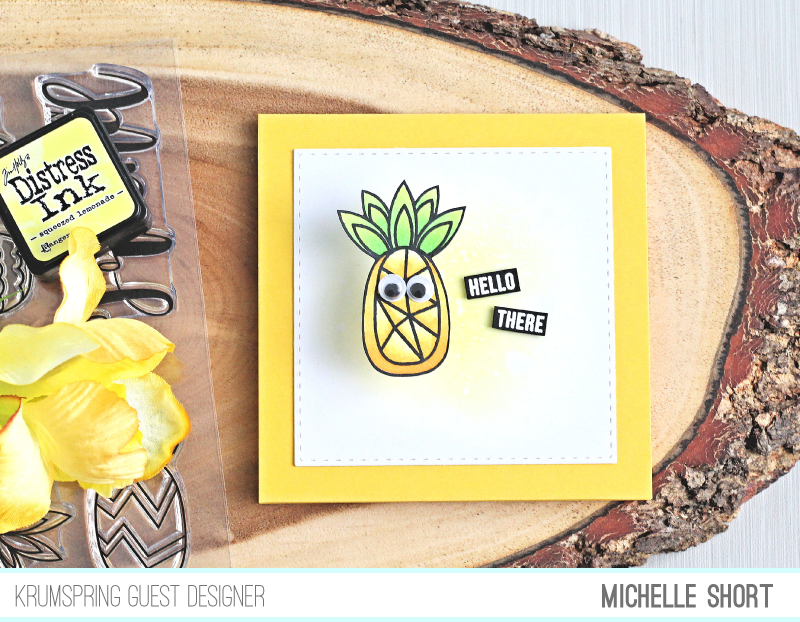 Today I am using the Funky Pineapples set and it is so much fun! 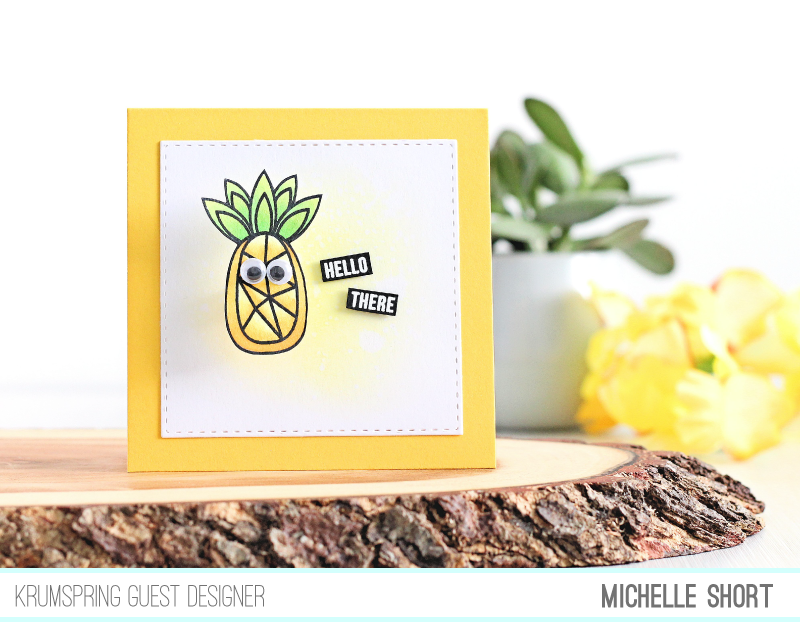 The set is filled with fun pineapple images as well as some great sentiments (although I decided to use a sentiment from the Monkey Madness set for my card today). 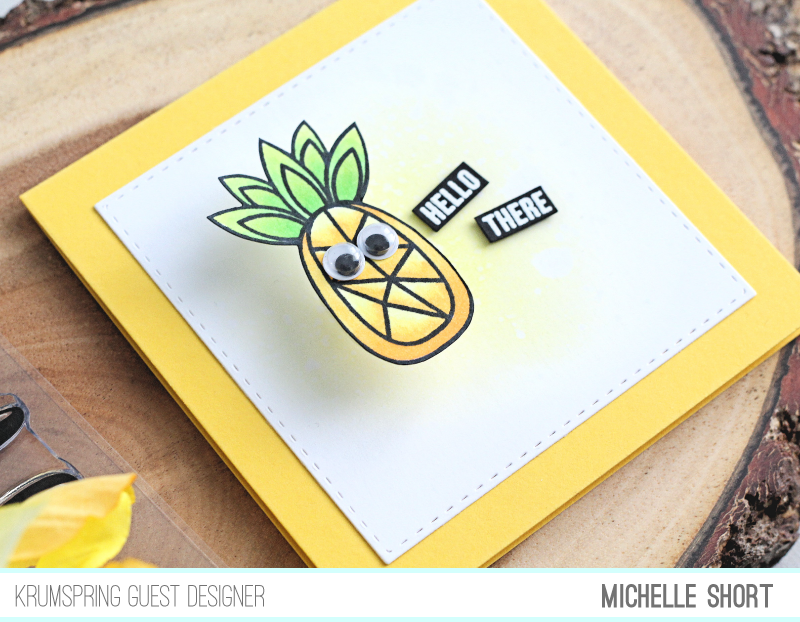 I started off by stamping one of the pineapples on to some white cardstock, using black ink. It was simply coloured with Copic Markers and then fussy cut out. I then added black pen around the cut lines to neaten up the edges. I took a piece of Bristol Smooth paper and blended over Squeezed Lemonade Distress Ink. I spritzed on some water, lifted the colour off with paper towels and then set aside to dry. Once dry, I cut the piece down using one of the SSS Stitched Squares Dies. This was added on to a yellow 4.25" square card base with tape runner. I stamped the 'hello there' sentiment from the Monkey Madness set on to some black cardstock with Versamark Ink. I applied white embossing powder and then heat set. The sentiment was cut apart in to strips using a craft knife. I adhered the sentiment on to the card base with foam tape and then added the pineapple on with a mini action wobble. To finish off, I added googly eyes to the pineapple. COPIC MARKERS: Y38, Y35, Y17, Y15, Y13, Y11, YG07, YG05, YG03, YG01. It is difficult to see in the photos but the pineapple, on the action wobbler, is quite dimensional and so fun when you wobble it! The great thing is, the action wobble folds down a lot so you can still add it in to a normal envelope. 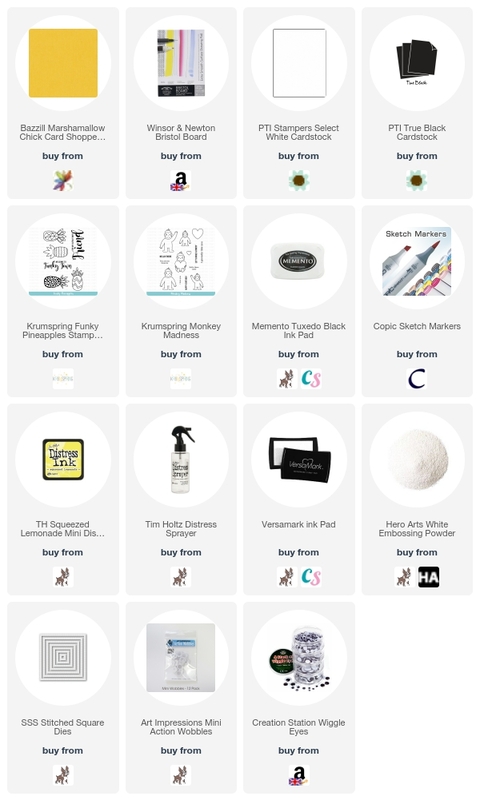 For more inspiration using Krumspring stamps, please head over to their blog. A big thank you goes to Maria for having me guest with Krumspring and thank you for visiting me today! 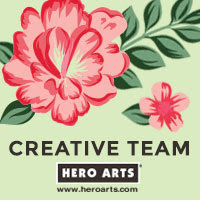 I hope you have a great rest of the day! Grumpy pineapple made me smile. LOL Love the pineapple with googly eyes! !